What Is Involved in Full Knee Replacement Surgery? 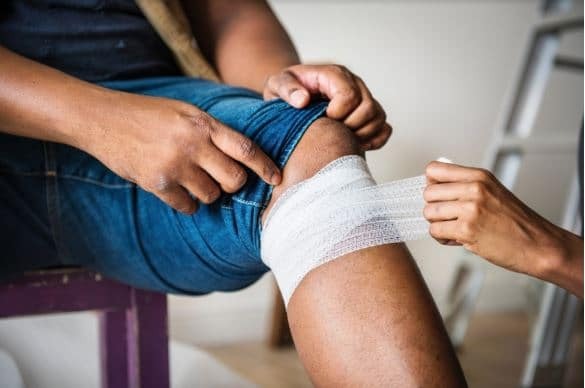 Knee conditions can sometimes be effectively managed with medication, physical therapy or other non-surgical treatments. For some patients with chronic knee pain and disability, however, these therapies may not be sufficient to relieve discomfort and improve knee function. In such cases, full knee replacement surgery may be recommended. – Preparation of the knee – To begin, the orthopedic surgeon will remove any damaged cartilage from the tibia and femur, as well as some of the underlying bone. – Positioning of implants – Next, the removed cartilage and bone will be replaced by metal and/or plastic components designed to mimic the original surface of the knee joint. Once the components are properly positioned, the surgeon will either cement or “press fit” them into the bone. – Resurfacing of the patella – Once implants have been inserted into the knee, the surgeon will then cut the underside of the patella (the kneecap) and resurface it with an inset plastic button. In some cases, this step will be skipped. – Insertion of a spacer – The final step in full knee replacement surgery is the placement of a medical-grade plastic spacer between the newly added implants. The purpose of this spacer is to reduce friction and create a smooth gliding surface between the components, thus maximizing joint mobility. Full knee replacement surgery is done under anesthesia and typically takes between one and two hours to complete. Patients usually remain in the hospital for one to two days after the procedure. Is Full Knee Replacement Surgery Appropriate for You? Are you living with persistent, severe knee pain that interferes with your ability to perform everyday tasks or otherwise affects your quality of life? You may be wondering whether you are a good candidate for full knee replacement surgery. Dr. Soffer is a board-certified orthopedic surgeon with years of experience diagnosing and treating knee injuries. He was fellowship trained in knee and shoulder surgery by Dr. James Andrews. Dr. Soffer can help you decide on the right course of advanced treatment for your knee condition. He will ask you about your symptoms, conduct a thorough examination of your affected knee and consider factors such as your age and overall health. If you would like to explore your knee care options with Dr. Soffer, call our office at 610-375-4949 to schedule an appointment. We look forward to helping you get relief from your knee symptoms so that you can resume an active, pain-free lifestyle.